Q. 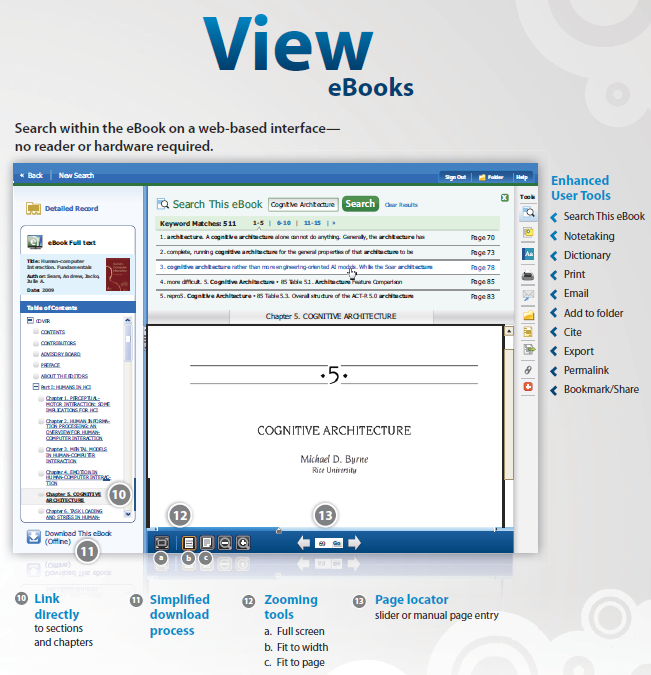 How do I view an EBSCO eBook? EBSCO eBooks can be viewed online in the eBook Viewer by clicking the eBook Full Text link in the Result list and Detailed Record. The free Adobe Acrobat Reader is required. These eBooks can also be downloaded. Get the details in our How to Use EBSCO eBooks libguide (link below).